In this article, Paul Fullerman, CPA, CVA, discusses techniques which can assist the accredited valuation professionals performing a business valuation. The Professional Standards also provide that, “A member may rely upon information provided by any source without corroboration if disclosed in the report.” Management is a typical source of information for business valuations and the professional standards allow the use of information provided by management without corroboration. Valuation experts have been prohibited from testifying in numerous cases because courts have found that the expert did not meet the requirements of Rule 702, oftentimes because the valuator relied on uncorroborated information provided by management. For example, one expert was excluded because the expert “admitted to having accepted management’s assumptions without question.” A “conclusory statement” from the expert’s client “does not provide a reliable foundation for [the expert’s] opinion.” Based on decisions like this, experts should consider whether and how to corroborate information and assumptions that are provided by management. Value of Property and Equipment—I recently reviewed a business valuation in which the valuator applied a percentage to the book value of the property and equipment to determine the fair market value. The report described no method that was being applied nor any research performed to determine if this was appropriate; there was no historical basis for the percentage used. Furthermore, a review of the fixed asset listing showed several assets that had no value, like computers purchased in 2005 (and prior) and vehicles that were traded in two cars ago. A review of records, such as vouching the listing to actual assets owned and a review of the asset listing with the business owner, would have provided the valuator with a better idea of assets that were currently held, or more importantly, assets that were not held. Collectability of Accounts Receivable—In many valuations I have reviewed, the entire value of accounts receivable, or some significant portion of it, is assumed to be an appropriate representation of the fair market value. This is often not the case. Reviewing, for example, an accounts receivable aging report, or collections reports, can lead to the identification of old and/or dormant accounts that may be uncollectible. The presence of uncollectible accounts receivable included in the balance sheet amount may require an adjustment to the accounts receivable balance to account for uncollectible accounts in order to arrive at the appropriate fair market value. Revenue Projections—When preparing a discounted cash flow (DCF) projection, the valuator may use management’s estimates and projections to determine the growth of a company. Often I note that the valuator has performed little to no analysis or research to assess the reasonableness of the projections. Management will often provide estimates they believe to be accurate and attainable, but their best intentions and calculations may not be reasonable. One way to assess the reasonableness of management’s projections is by investigating the accuracy of past projections. For example, if management prepares annual budgets, how close are actual results to the budget? Actual results that are consistent with budgeted results provide more support for projections than actual results that are consistently and materially less than (or more than) budget. Operating Expenses—Management may inform the valuator that revenues are projected to increase by ten percent annually but expenses are going to increase only two percent; however, this is often not appropriate or sustainable. The valuator may consider reviewing historical data, industry data or standards or other external information (e.g., government price/cost statistics) to assess the reasonableness of management’s estimates regarding expenses. Comparable Companies—In the market approach, valuators often use public companies, or transactions involving private companies, to determine multiples that are used in the valuation of the subject company. The selection of the comparable companies or transactions is often key to these types of analyses. The valuator should consider the need to thoroughly research (to the extent possible) the transactions and companies to determine their comparability to the subject company. If the valuator is not able to obtain enough information to reasonably assess the comparability of the companies or transactions being used, the valuator may want to consider whether the market method is usable, especially when the issue of comparability will likely be subject to further scrutiny by a court. Information and assumptions provided by management can be a great starting point for the valuator; however, and especially when preparing a valuation for use in litigation, the valuator should carefully consider how additional support or corroboration can be obtained so that it is clear that the valuation opinion is “based on sufficient facts or data.” Appropriate support for, and corroboration of, the information used in the valuation can minimize the risk that the valuation will be ruled inadmissible by the court. NACVA Professional Standards, Section II. C., “Due Professional Care” (emphasis added). NACVA Professional Standards, Section II. F., “Sufficient Relevant Data” (emphasis added). NACVA Professional Standards, Section IV. C., “Reliability of Data” (emphasis added). In re: Jonatzke 2012 Bank. LEXIS 3882. 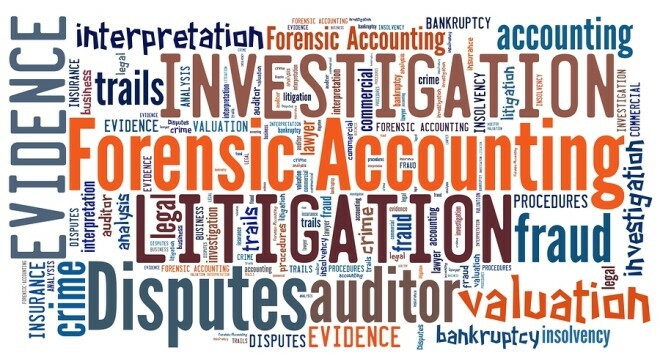 Paul M. Fullerman, CPA, CVA, is Manager of GBQ, LLC’s Forensic & Dispute Advisory Services. Mr. Fullerman’s broad range of experience has taught him to appreciate a variety of industries and companies—which serves him well at GBQ. After beginning his decade-long accounting career learning the ropes in a one-man shop, he completed his internship at a major corporation and has worked for more than eight years in public accounting for several CPA firms. Mr. Fullerman can be contacted at: (614) 947-5320 or e-mail to: PFullerman@gbq.com.